Halloween is fast approaching. In fact, it is only a few days away. During Halloween night, you will commonly see children in costumes walking around the neighborhood, knocking on doors and asking for tricks and treats. 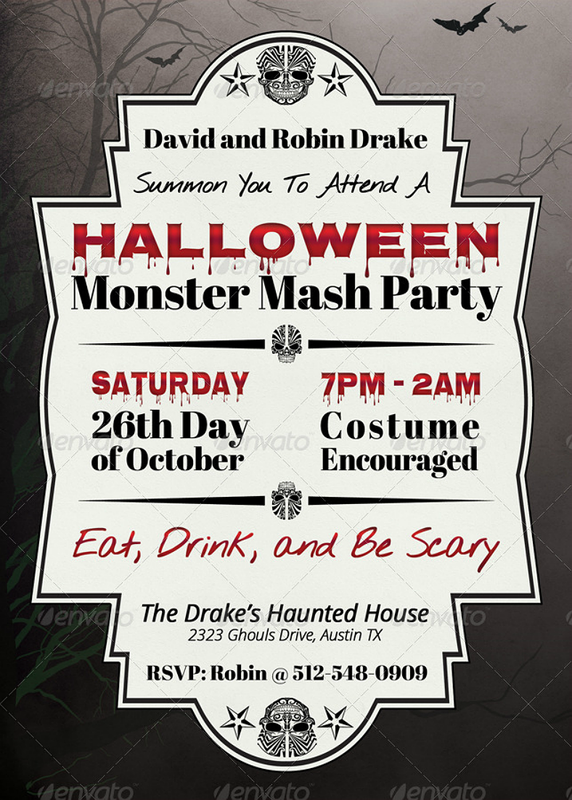 Also, during Halloween night, the grown-ups will also have their share of the fun. Gatherings and dinner parties are common during Halloween, and it brings together family and friends for the night. But how will you be able to notify people about an event that you are hosting? For a lot of people, they would usually forego with the use of invitations if the party that they are hosting is a casual one, and they will simply inform their invitees through a telephone call or a text message. While this may already be sufficient enough, it is always best to practice sending out invitation cards to the people that you are expecting to come to your party. The reason behind why sending out invitations is best is because of its formality, and because it makes the invitee feel that you are actually sincere in asking them to come to your party. Nowadays, preparing invitations is no longer a burden thanks to the abundance of downloadable templates all over the internet. These templates are very helpful since it already finishes half of the invitation design for you, and all you need to do is to edit them according to your preferences. 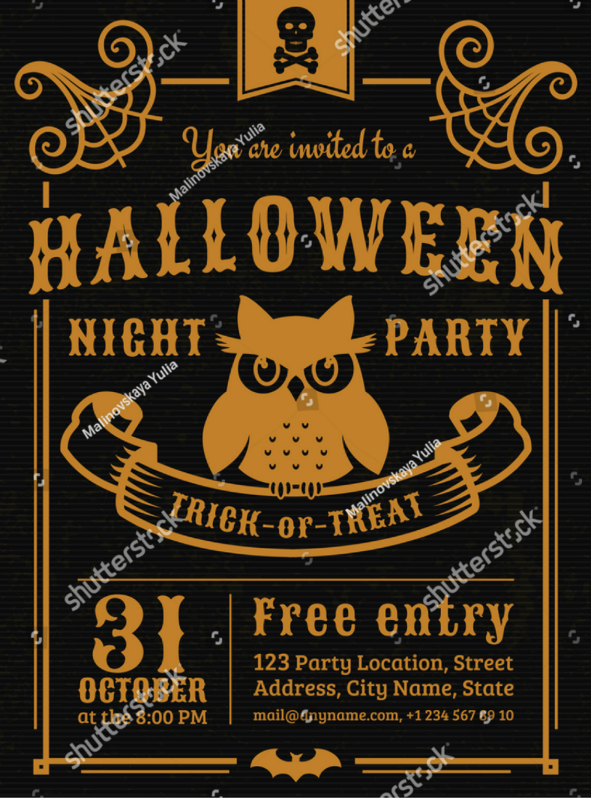 Below are some pretty artistic Halloween party invitation designs that we were able to gather from the internet, go ahead and check them out. 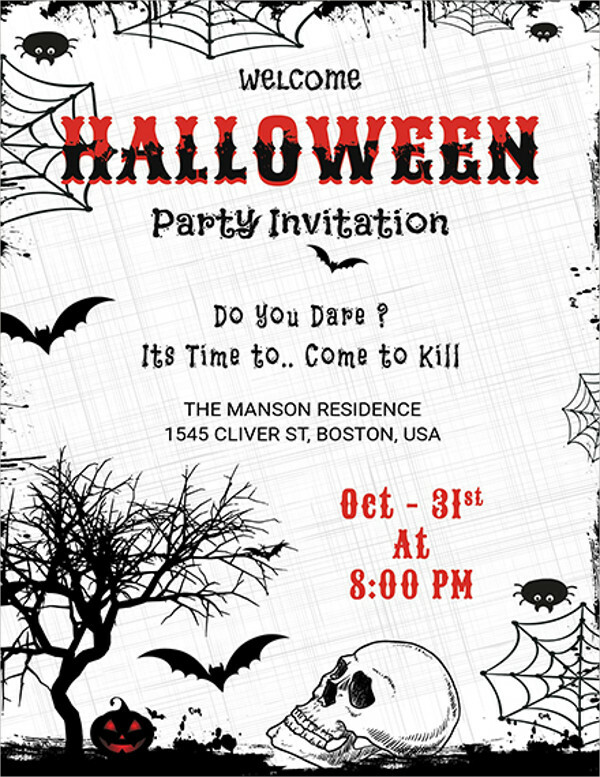 To get you started, here is an amazing Halloween party invitation design that somehow looks like a movie poster for a horror film. 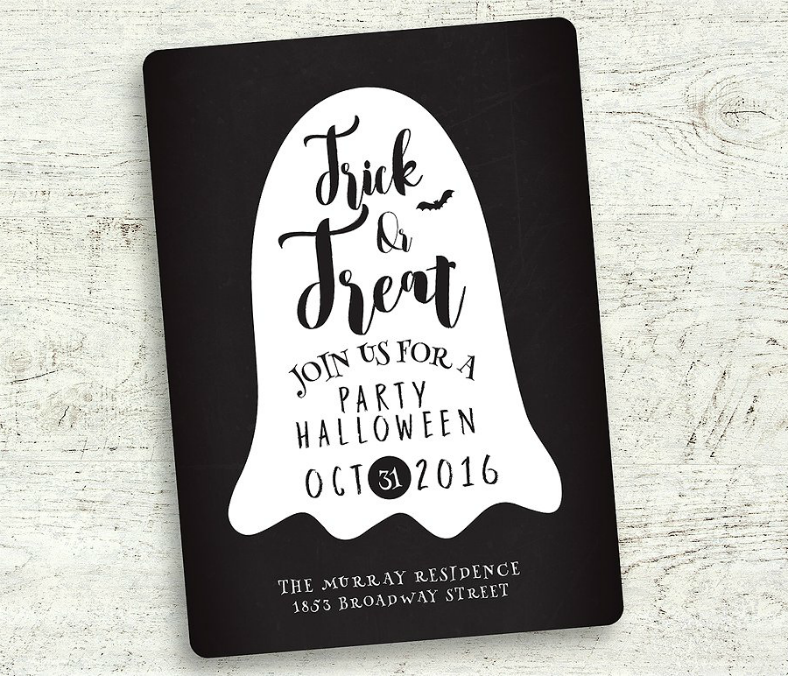 The effective use of silhouette imagery and the grayscale color scheme on the design makes this invitation look appropriate not only for the party that you are hosting, but for the entire Halloween season. 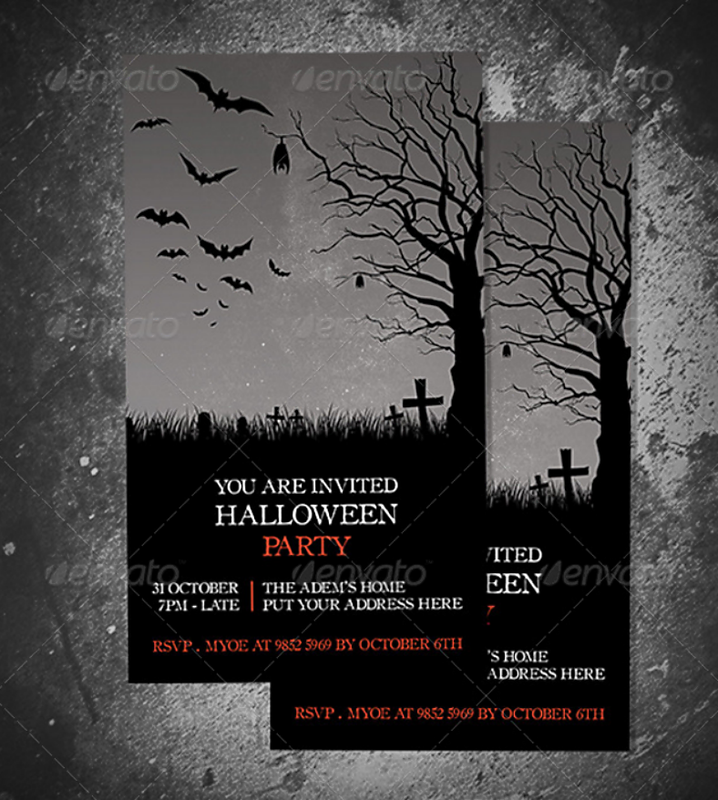 Download this spine chilling invitation design to use for your Halloween party. 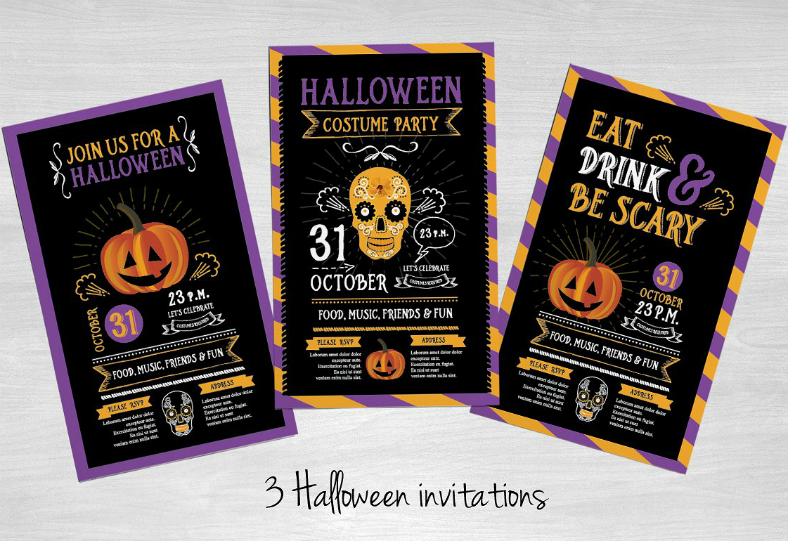 Check out this cute and artistic set of Halloween invitation designs, for only $5.00, you will be getting a total of three designs to choose from. What’s even better is that these designs don’t even look cheap, and we think you would agree with us as seen on the sample image above. The only downside with this design is that the font is not changeable, but that can easily be forgiven. Even with that limitation, this set of designs is still worth downloading, where else can you get such a good deal as this? People just love taking the effort of carving pumpkins to make their own Jack-o’-lanterns. You will commonly see these carved pumpkins decorated outside their homes during Halloween, and you will even see plastic baskets in the form of Jack-o’-lanterns used by the trick-or-treating kids. Why not incorporate the image of Jack-o’-lanterns to your invitations? 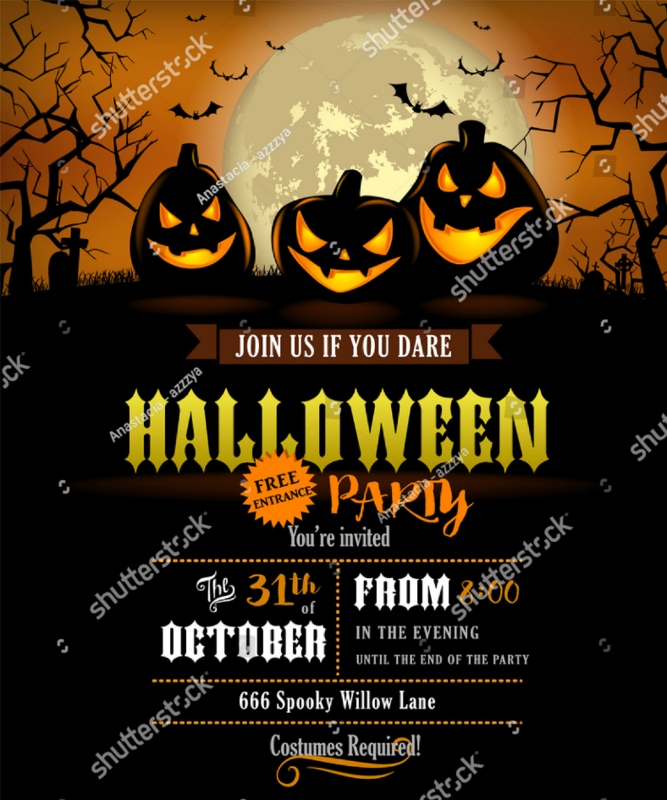 Above is a pre-made Halloween invitation design that contains that image, and those Jack-o’-lanterns are waiting for you to click the download button below. Costume parties are the most common types of parties that you will see during the Halloween season, and the design above may work well for you. The text on the design are very arranged, which makes it easy to read. For this design, you can choose between two colors, and you can also choose between the portrait or the landscape orientation. 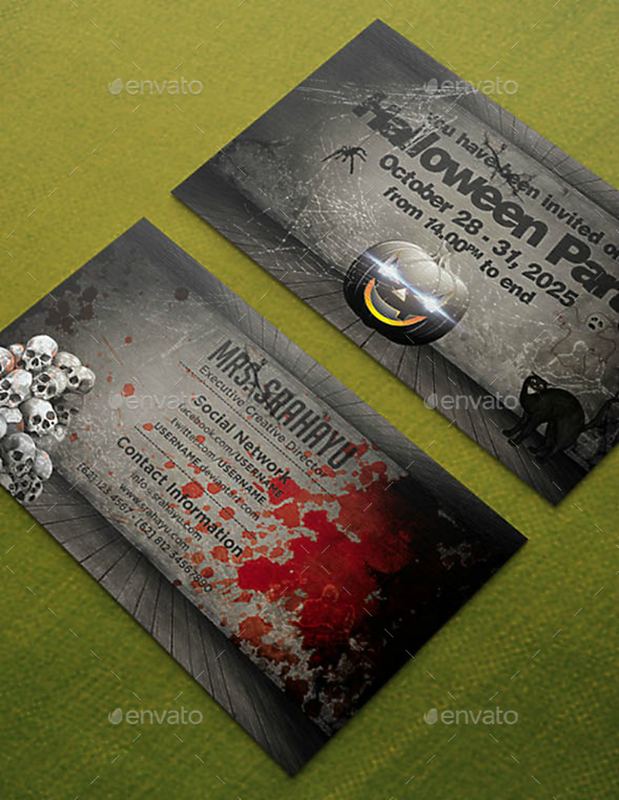 Somehow, this Halloween invitation design reminds me of gravestones. 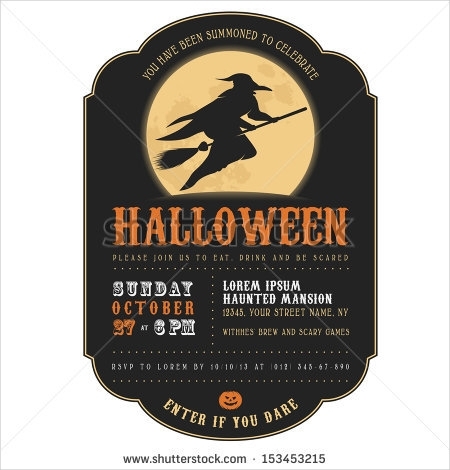 Here is a simple yet very creative design for a Halloween invitation, wherein the entire backdrop is in solid black color, and the text are written on a silhouette image of a ghost. The fonts used on this template are custom-made, which look perfectly appropriate for the overall appearance of this design. You won’t need to stress yourself with this design since you will only need to customize its written contents and then you’re done. 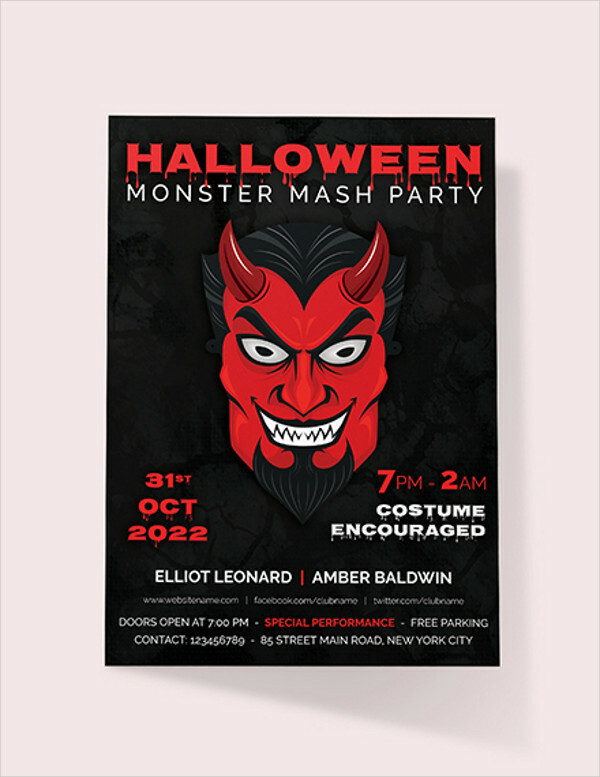 If you are looking for a fresh and modern approach to Halloween invitations, this one may be what you need. 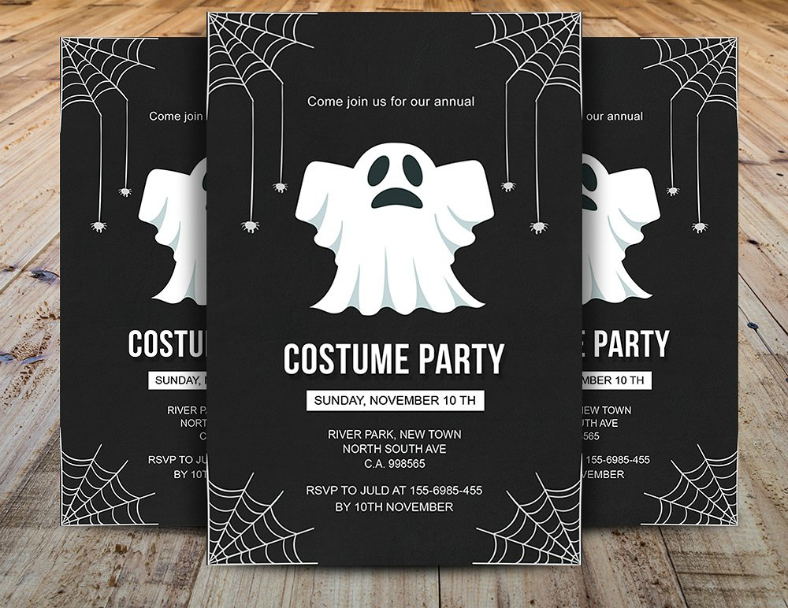 This Halloween invitation design bears a textured color gradient background with some text and little bit of silhouette illustrations on the foreground. This design focuses more on its typography, and heavily relies on its background for the enhancement of its quality. When looking at this design, it makes me think of an art that is done on a glass surface because of the background image and the glowing text in the middle. We all know how scary mummies can be, but the way the mummy on this invitation design is illustrated somehow makes it look adorable. The entire design is covered in bandages, and the mummy eyes are hilariously seen peeking out from the bandages. 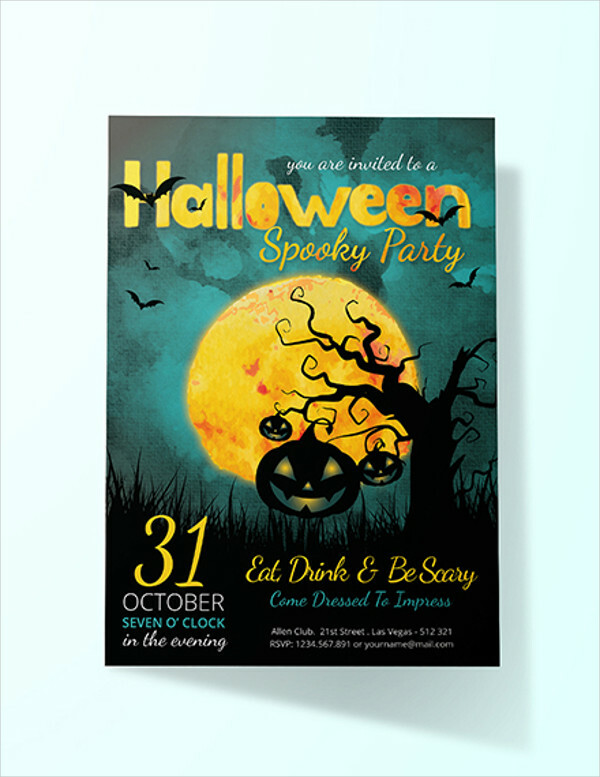 If you intend on making your Halloween party fun, then you should also make your invitation designs look fun to go with it. 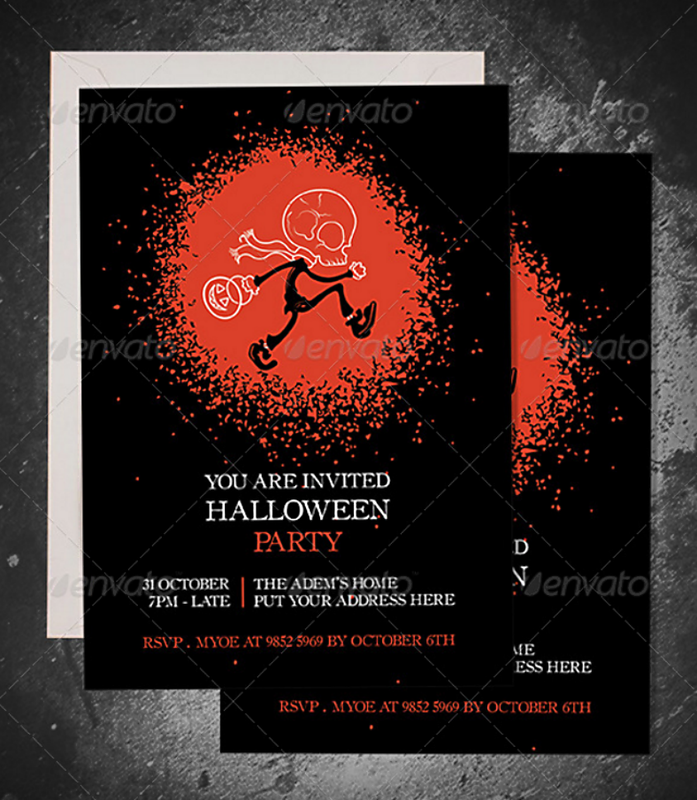 Here is another simple-looking Halloween invitation design that shows an illustration of a trick-or-treating person wearing a skeleton mask. The minimal use of colors and elements provide in this design’s simplicity, and only the most relevant details are included. Here, only the date, time, and the street address for the venue are included, though you still be able to add more features to it if you wish. During Halloween night, we commonly see grown-ups throw parties because the children are too busy going around the neighborhood asking for sweets. 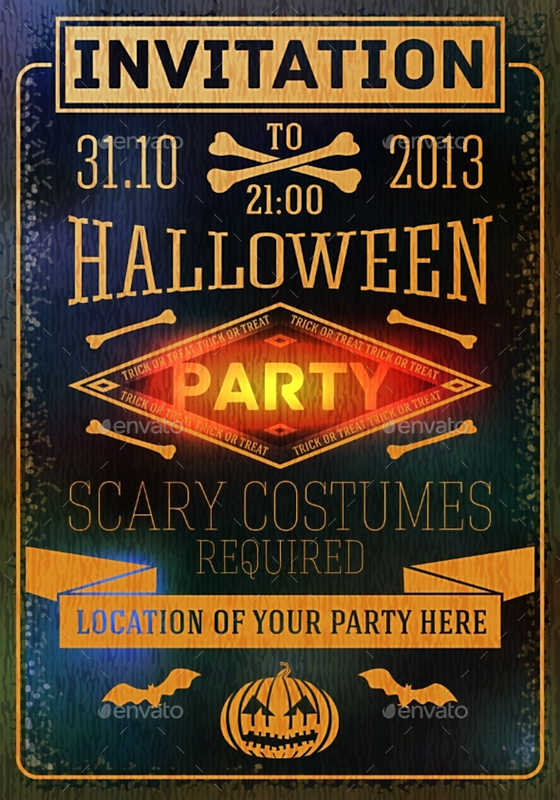 But there are also Halloween parties thrown for kids though they are not as common as the one for grown-ups. If you are planning on hosting a kid’s party, then why not use the invitation flyer design shown above? The Jack-o’-lantern on the image seems very excited already. 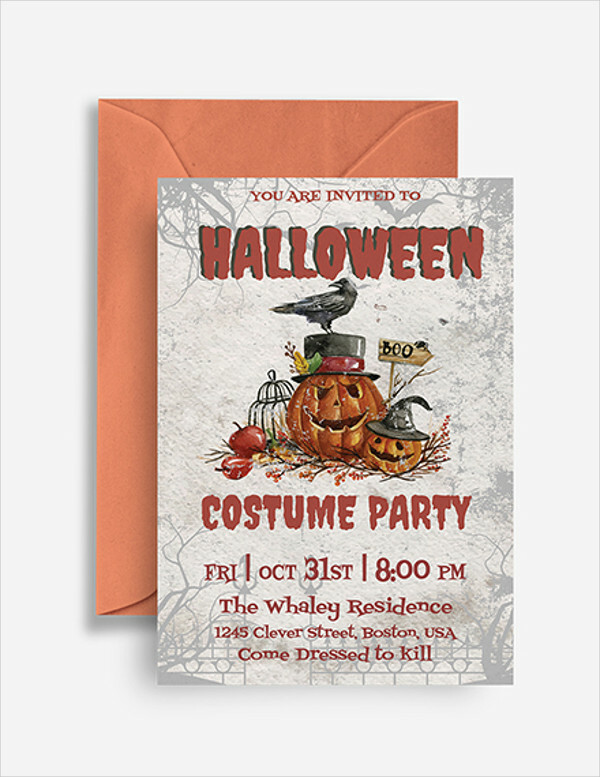 If you are looking for a template that maximizes the use of each invitation card, here is a Halloween invitation card template that contains designs specifically for its front and back side. On the front side, it simply shows the text that expresses the host’s desire to invite the reader, and the date and time of the party. The back side of this invitation card provides the details of the event’s host or RSVP purposes. This side indicates the name of the host, their social media page, and their contact details. Here is another invitation design that organizes it contents for easy reading. This design makes use of contrasting colors for its outer and inner elements, and this is to put emphasis on the space where the details about the party are written. From the top-most portion, you can find a silhouette illustration of a witch in front of a bright moon. Below that illustration are the details providing the reader with the information they need about the party. These details include the date and time that the party will start, the address where the party will be held, and some information regarding the RSVP. Here is an event invitation design that leans heavily towards simplicity, wherein the elements are purely text that provide the invitee with details about the party. Before you say that this design is dull, these elements actually appear as if they were written using a chalk and the textured background makes it look like an actual chalkboard. Regardless of this invitation design’s simplicity, you can still see how its high level of visual appeal. Indeed, chalkboard-inspired designs will always be eye-catching for many people. Adding too many features on an invitation design will not always make it look cluttered, just make sure to organize the contents well and provide enough space in between elements. That is definitely the case with this party invitation design, the entire card is filled with various graphic illustrations and text, but since they are being arranged in an organized manner, they still look readable and also easy on the eyes. The color scheme can also contribute to the tone of the design, and this one is able to play around with the use of two contrasting colors. The background is a textured black surface, while the foreground elements have a contrasting golden color. 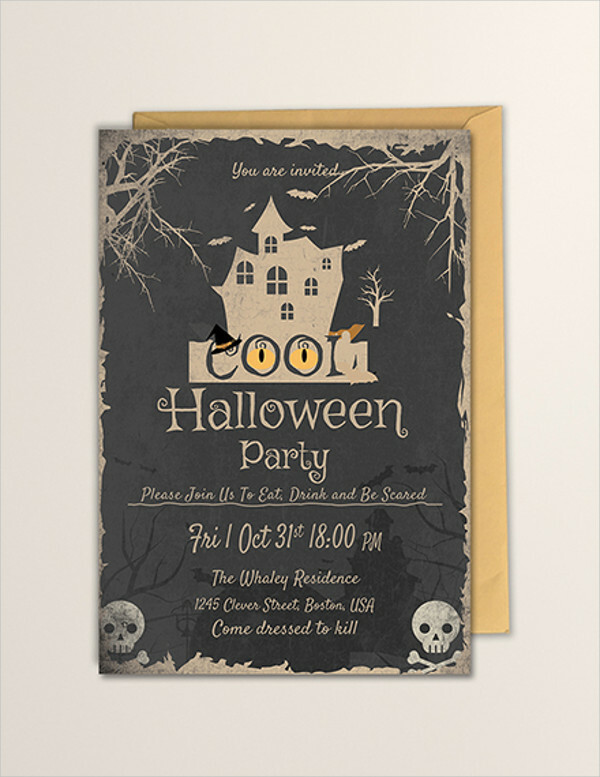 The result of this color scheme makes this Halloween invitation design look formal and elegant. In children’s cartoons, ghosts are commonly interpreted as an entity that looks like a person wearing a white piece of linen. When we see images like the one above, we can right away associate it with ghosts even without reading the card’s actual contents. For this design, the text that indicates what this invitation is about is enlarged to give emphasis to it. 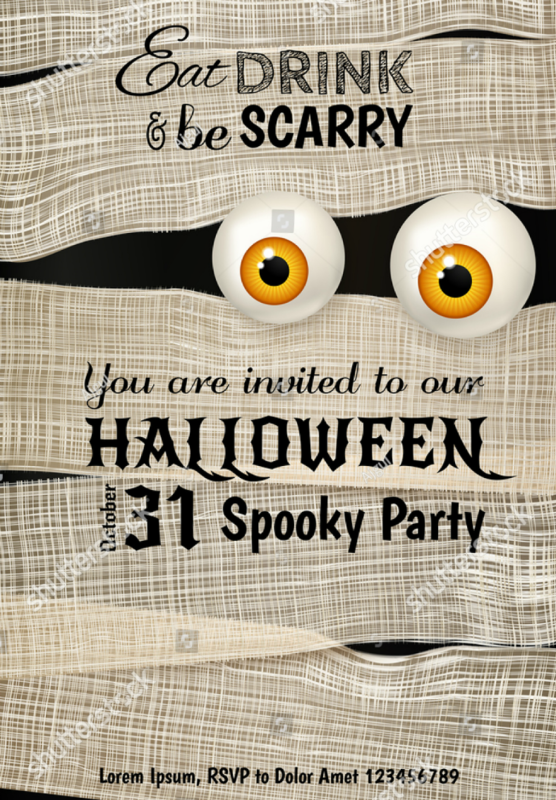 This text, along with the vector illustration of a cartoon ghost, can right away inform audiences that this is an invitation to a Halloween costume party. We have already shown you a typographic invitation design that is chalkboard-inspired, now here is another typographic invitation but is more colorful than the previous one. 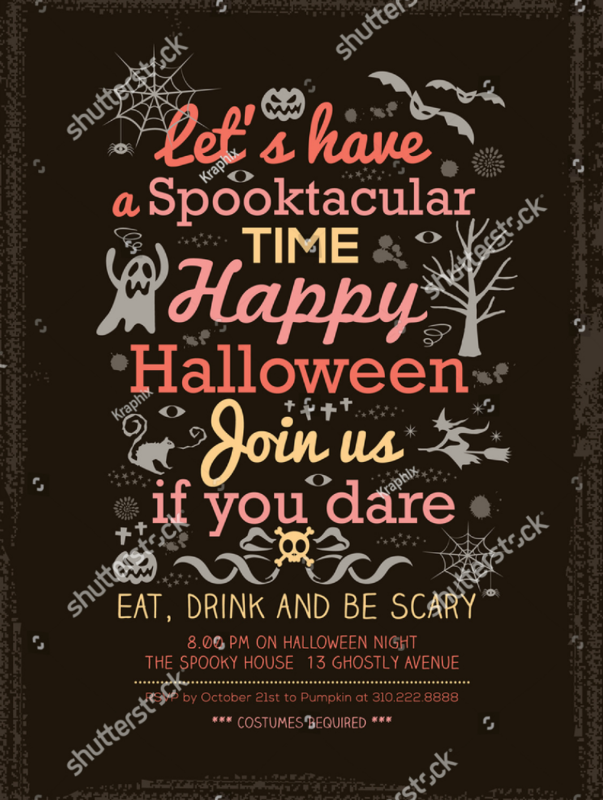 This invitation to a Halloween costume party puts more emphasis on the typography, though it also contains a few illustrations unlike the last design. 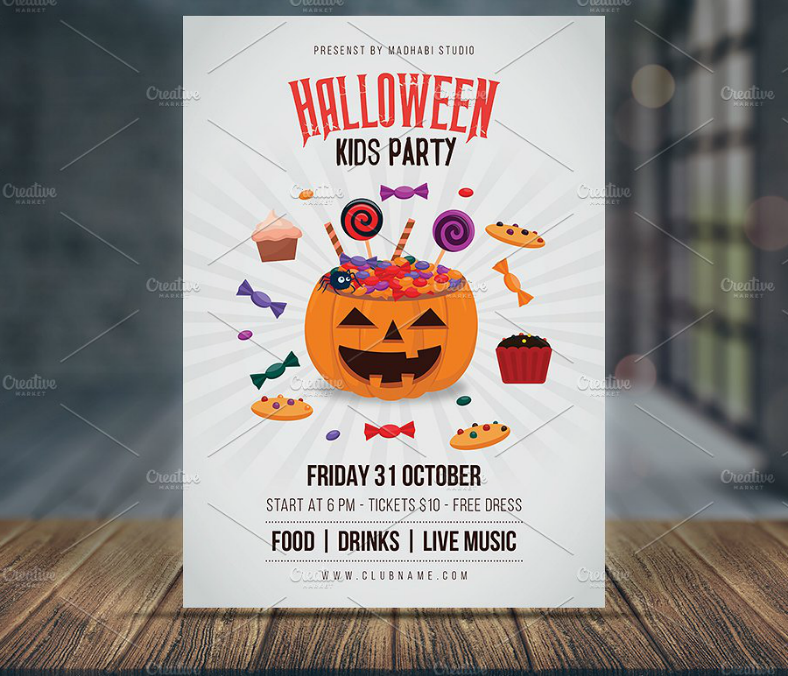 The vibrant colors used on this design definitely takes away its scare factor, but will make children look forward to this party event. 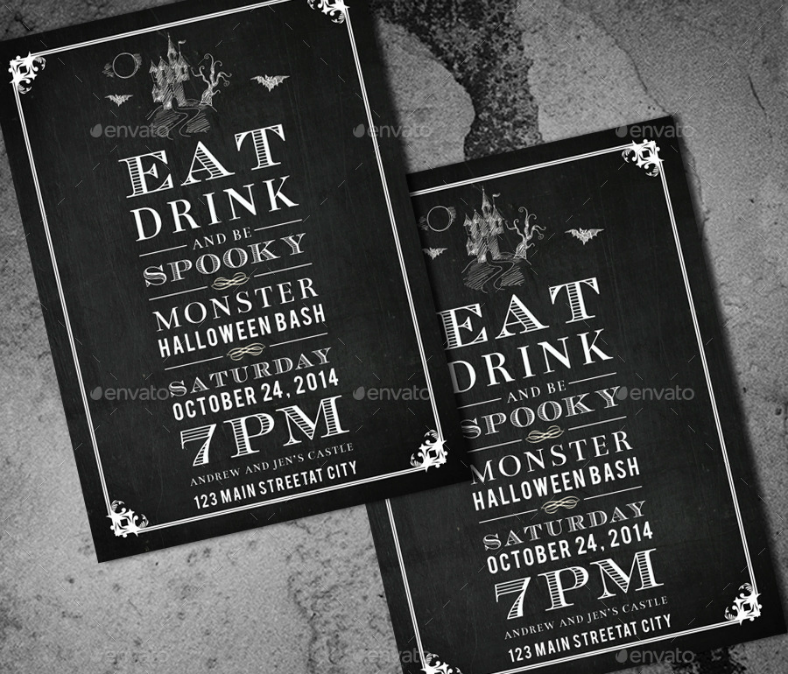 Out of all the invitation designs that we have just shown you, were you able to find one that perfectly fits your Halloween party? We hope you did since these are top-notch designs that were carefully gathered from among the best ones all over the internet, and these were made by very skillful and creative graphic artists from all over the world. These trendy party invitation designs are sure to catch the attention not only from its readers, but also from random onlookers. If you already know the steps to designing an invitation, you can then proceed to downloading a template, and downloading these designs can be done through a very simple process. In fact, it’s just a matter of choosing which design to use, clicking on the download button, and paying the required fee. And when it comes to the payment, we assure you that it won’t be too much for your pocket since these designs have been reasonably priced. Most, if not all, of these designs are in vector format, which means they can be edited very easily while being able to retain its sharp quality. Another advantage of having it in vector format is the ability to individualize each element on the design, allowing you to edit only parts without altering the rest of the elements. So, for a brief run down on these invitation designs: good quality – check; ease in downloading – check; affordability – check; and editability – check.